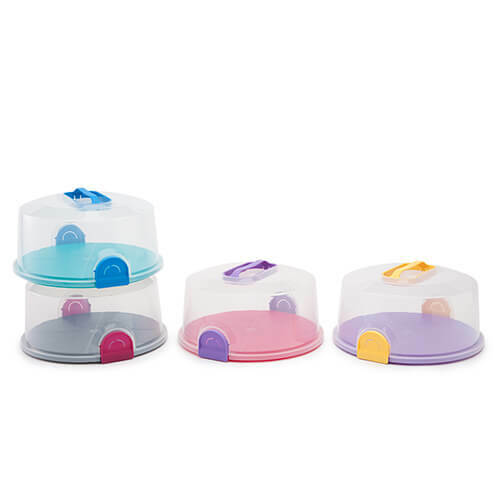 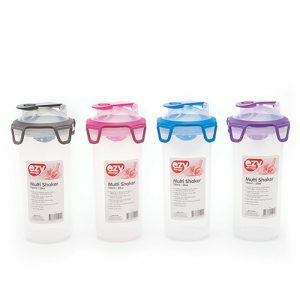 The Ezy Storage Round Cake caddy has the capacity to hold one round cake. 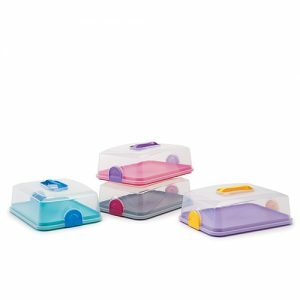 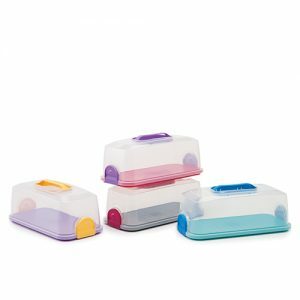 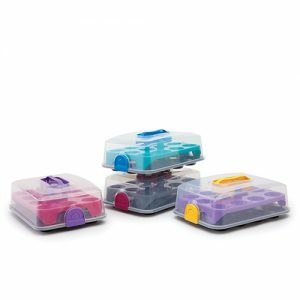 The container is designed with a central handle for easy transportation and unique clip lock cover to hold everything in place. 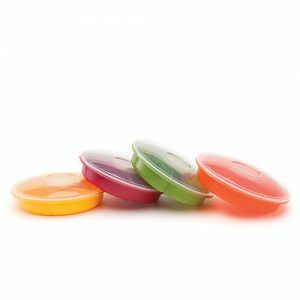 Made from BPA free and food safe materials, the Round Cake Caddy is also dishwasher and microwave safe.